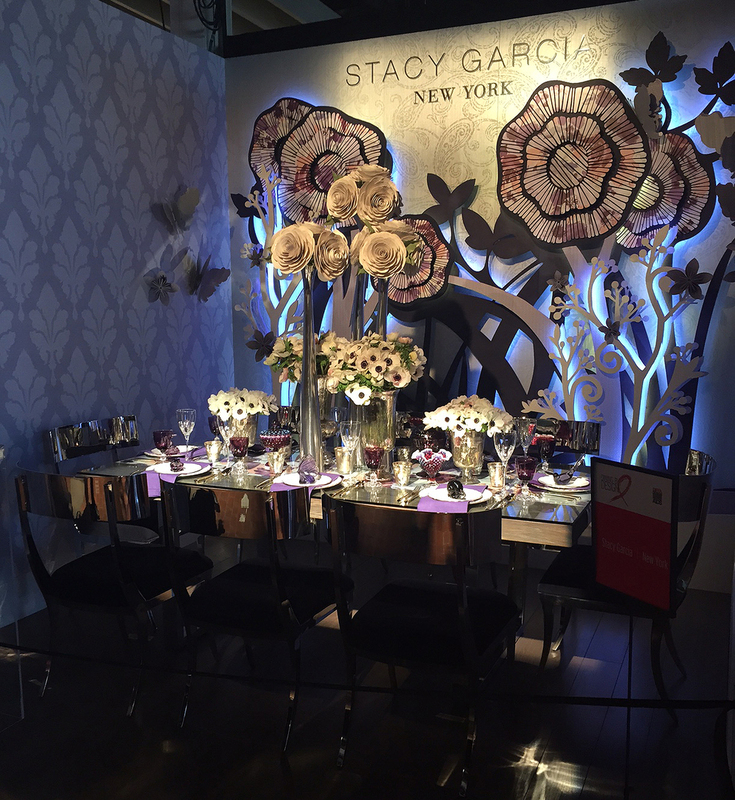 DIFFA Dining By Design: Stacy Garcia — Geoff Howell Studio Inc. 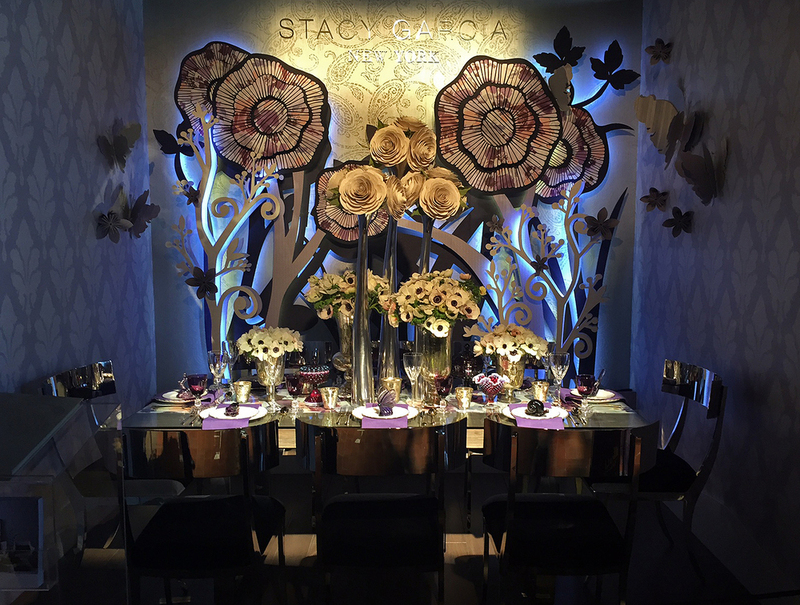 The people who put Dining by Design together were kind enough to recommend us to (wallpaper designer) Stacy Garcia to help her create her presentation booth. We built the walls, covered them with her wallpaper, did the back-lit multi-layered floral cut-outs, each layer covered in different wallpaper. We also made the chrome logo and the custom gray oak floor. We also made the wallpaper flowers on the table.